Drew Green is an award-winning entrepreneur and expert in managing high-growth companies. Previously recognized as a Top 40 Under 40 and nominated for CEO of the Year, Drew has been acknowledged throughout his career. In 2017, he was awarded the Innovation in Retail award by the University of Alberta. In 2018 he was an EY Pacific Entrepreneur of the Year category winner and Chain Store Age Breakout Retailer of the Year. At INDOCHINO, through a commitment to an experience-based omnichannel commerce strategy, Drew has built one of the world's fastest growing apparel brands. Under his leadership since 2015, the company has grown at a compound annual growth rate of 48% and became EBITDA positive—in 2017, EBITDA improved by over $8MM USD. Drew has expanded its retail network across North America to include 36 showrooms by end of 2018, with an additional 20+ showrooms planned for 2019. To date, Drew has established up to $90M CDN in strategic long term capital commitments, setting the company on a path to become a globally recognized brand. The stage is now set for international expansion, with 7-8% of the company’s revenue expected to come from customers outside North America in 2018. INDOCHINO continues to focus on innovation. In 2018, the company expanded beyond formalwear into new categories to include custom casual clothing and outerwear. Drew is committed to continuously improving fabric assortment, enhancing the product and reducing delivery times to become the undisputed worldwide leader in custom apparel. 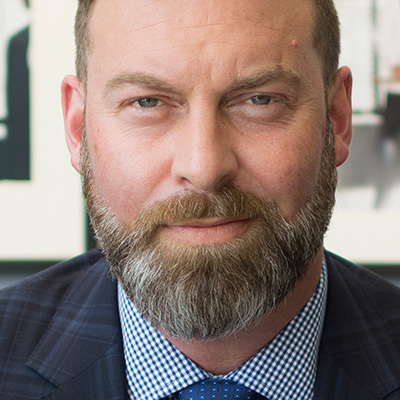 Prior to INDOCHINO, Drew founded and was CEO of SHOP.CA, Canada’s first multi-merchant marketplace, which is now owned by EMERGE COMMERCE, a company he leads as Chairman and major shareholder. Throughout his career, Drew has played key leadership roles at companies that have created billions in shareholder value: DoubleClick, SHOP.COM and Flonetwork.